Fall is undoubtedly my favorite time of year and, although I am not interested in rushing the last few days of summer, I am excited that my favorite holiday is just around the corner; Halloween. Unlike many holidays, Halloween holds a mystery and excitement for children of all ages that lights a spark inside all who celebrate; or perhaps that is just the candy. In the interest of preparing to celebrate I thought I would see if we could change things up this year and add donuts. Not to worry, my good friend and loyal donut follower Bob C. has supplied just the right idea; The Halloween Donut Tree, courtesy of Calli at Make It Do, by way of Brittany at One Charming Party. Bob and his better half host and annual pumpkin carving party each year and consequently are always on the hunt for new party ideas. 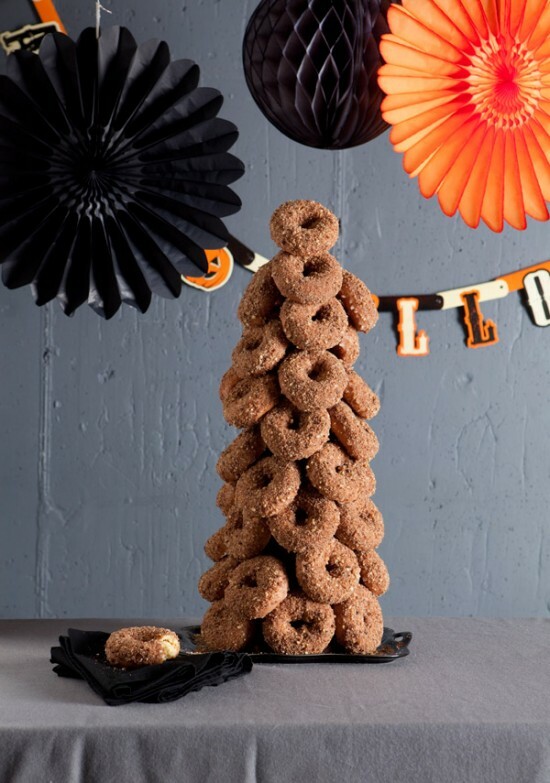 What better way to add a new twist to your Halloween celebration than by combining it with Donuts?! 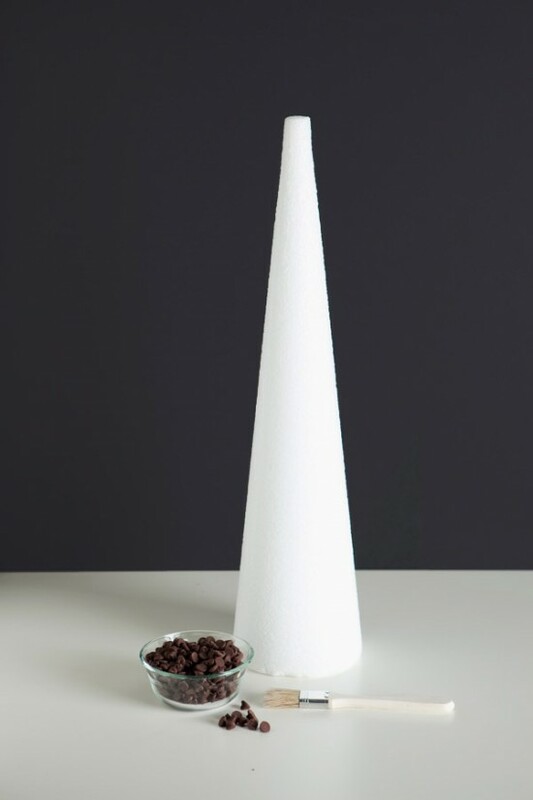 You will need the following supplies to start: a 24″ styrofoam cone, 12 ounce bag of semi-sweet chocolate chips, basting brush, toothpicks and of course 45-50 donuts! For a step by step tutorial of how to make your own tree, please click on the link below and send us your pictures.